As usual, Dutchware took something simple and made it even simpler. 35' of ridgeline with a Dutch Hook on one end plus a Dutch Tarp Wasp that goes wherever you put it on the line and stays there. 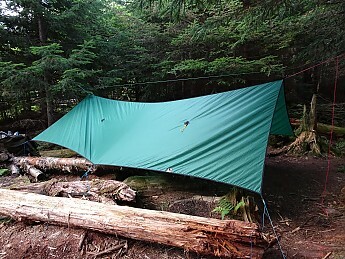 Fast, knotless setup and take down for the tarp user on the go. 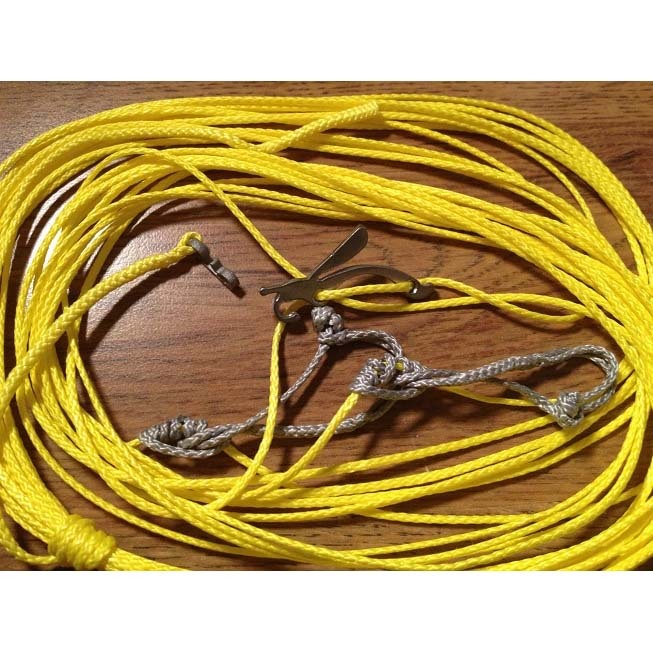 35' of 1.75mm dyneema provides the line in this ridgeline. 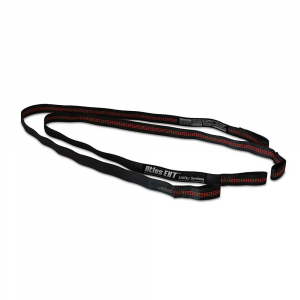 You can order it with or without reflective threads woven in. This is a strong, yet light line that doesn't stretch much at all under stress. On one end a Dutch Hook has been permanently attached. Small and light, it is just big enough to do the job. 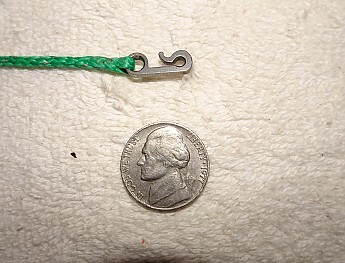 The line snaps into the hook and stays there. Floating up and down the ridgeline is a Dutchware Tarp Wasp. 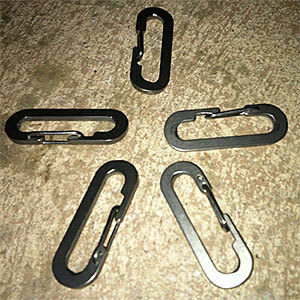 It can be repositioned quickly by unhooking the line from the wing notch and sliding it where you want it. Once that loop goes into the wing notch it is not going anywhere. 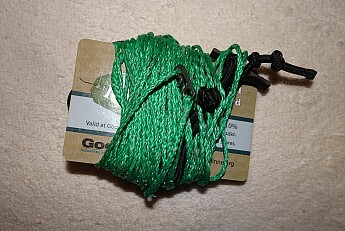 That lets you run the line around a tree, come back to the hook and pull it tight before tying it off with another loop over the wing. This video shows how to use the components and hopefully demonstrates just how easy it is to set up or take down the ridgeline. The titanium components are not going anywhere. I've gotten almost two full years of use and the dyneema is still holding up well, though showing some signs of wear. That is to be expected given the amount of use and repeated contact with pine sap heh. 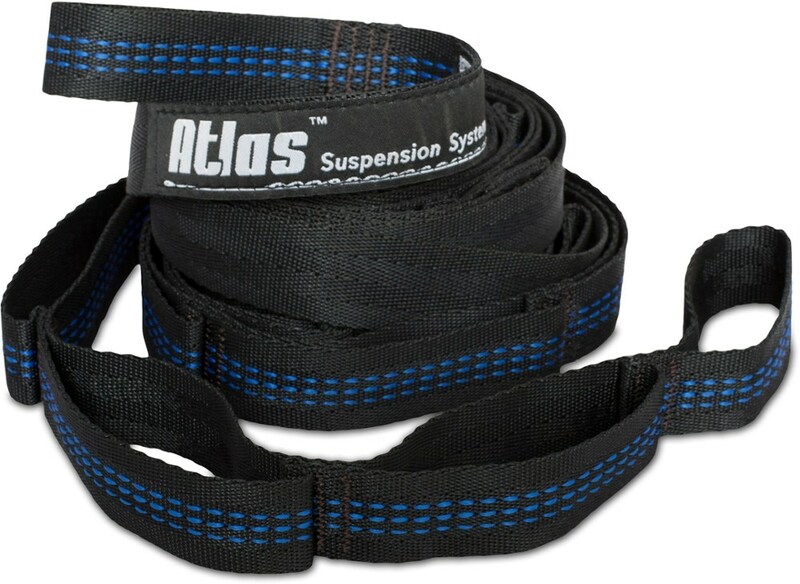 The dyneema works well in this application as it doesn't stretch under stress or when wet. 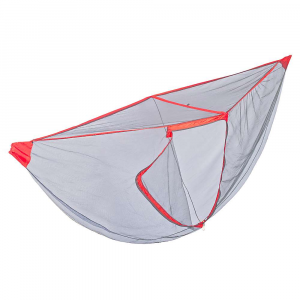 The Tarp Wasp has no traction issues in bad weather as neither ice nor snow causes any problem. Hanging out near the Baldpate Shelter on the AT. This ridgeline has been in use since April of '17. 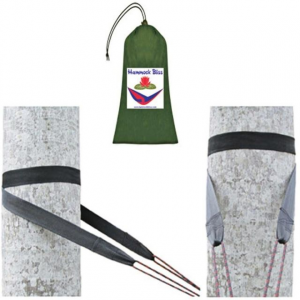 It has been used in all four seasons and with several types of tarps. Weather has run the gamut with plenty of wind and rain along the way. 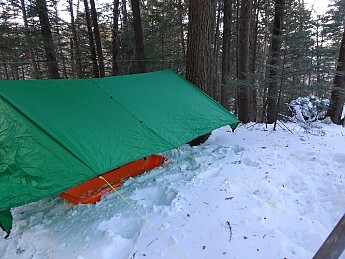 Winter kit means different tarp, different tie outs, but the same Dutchware Ridgeline. I've been very happy with this purchase. The ability to toss up a shelter in no time flat is what carrying a tarp is all about. Using the Dutch "bling" on this ridgeline allowed me to set up fast no matter what the conditions. Sometimes that meant bad weather and other times it meant crawling into camp late, tired and sick from a hard day on trail. Fancy knots are all well and good, but being able to get the roof up with stiff fingers before hypothermia kicks in on a cold, rainy day means more than bragging rights online. Fast and easy are important when you need to get under some shelter. Carefully wound for fast deployment. One inherent issue with a 35' continuous ridgeline is that you have 35' feet of line. This isn't a defect, just something you have to be prepared to deal with. I learned that the hard way with a tangled line after hiking all day in a cold rain. Ever since I've made a point of keeping the line well managed in my pack. All that line can be used to good advantage though. 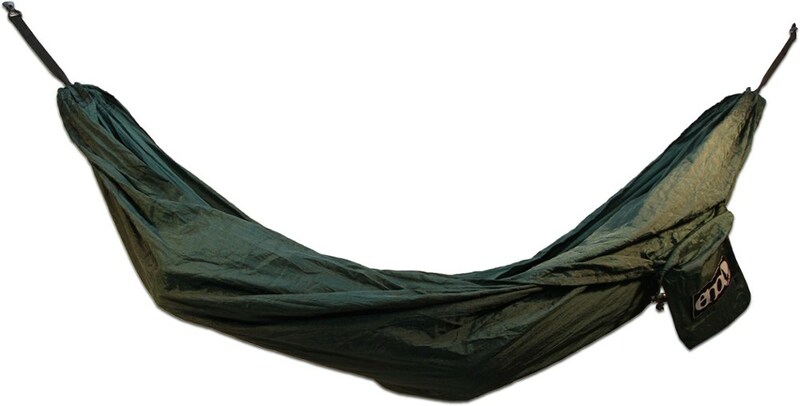 Combined with floating toggles it allows you to position the tarp optimally over your hammock or bivy even when that spot is located off center of the supporting trees. On family trips where I'm setting up multiple shelters I'll resort to tying knots for some of the tarps, but when only one roof is needed I happily use the Dutchware Continuous Ridgeline. For the money invested it has saved me a lot of time and cussing over the last two years. 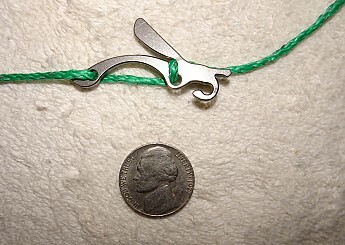 If you really, really like tying knots maybe this would be annoying I suppose. Most other tarp hanging folks will appreciate this! The Dutchware Continuous Ridgeline is not available from the stores we monitor.